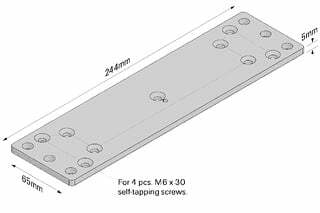 Strong Steel mounting plates for easy MAC2/MAC2U mounting. MP2 Mounting Plates is produced for MAC2/MAC2U lifting columns. The mounting plates is designed for easy and simple install of the MAC2/MAC2U Lifting Columns in your applikation, by using the 6 outer Ø8.5 mm mounting holes. 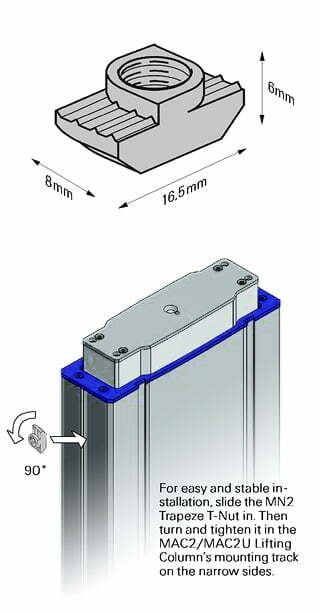 MP2 Mounting Plates can be used as both the upper mounting plate and the bottom mounting plate. It is important to use the right screws for the mounting of the MP2 Mounting Plates on the MAC2/MAC2U Lifting Column: 4 pcs. 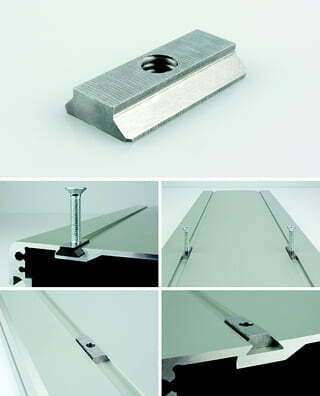 of M6 x 30 self-tapping screws in the aluminium profiles. Option: Powder-lacquered/coated MP2 Mounting Plates (all RAL colors). The mounting plates should be protected from longer water and humidity exposure to prevent corrosion. Option: Movetec offers the MAC2/MAC2U Lifting Columns with pre-mounted MP2 Mounting Plates, directly from the factory in Denmark. 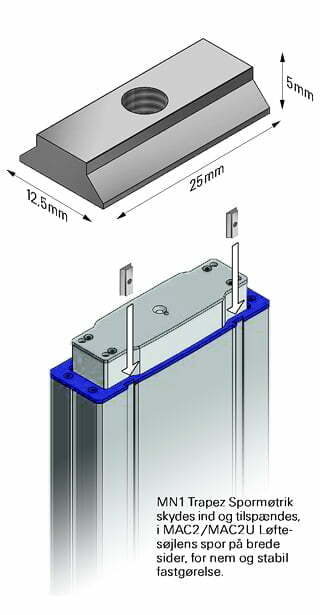 MP3 Mounting Plates is produced for MAC2/MAC2U lifting columns. The mounting plates is designed for easy and simple install of the MAC2/MAC2U Lifting Columns in your applikation, by using the 3 x Ø6.5 mm mounting holes. 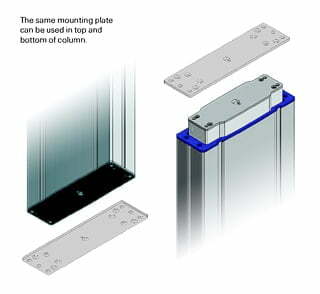 The MP3 90° Mounting Plates can be used, for example, where the MAC2/MAC2U Lifting Columns are going to be mounted in the side of a profile, or other 90° MAC2/MAC2U Lifting Columns attachment. It is important to use the right screws for the mounting of the MP3 Mounting Plates on the MAC2/MAC2U Lifting Column: 4 pcs. 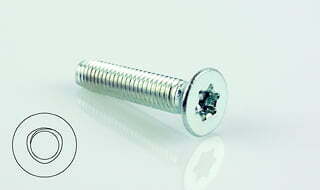 of M6 x 30 self-tapping screws in the aluminium profile. Option: Powder-lacquered/coated MP3 Mounting Plates (all RAL colors). Plate mounting on the MAC2/MAC2U: 4 pcs. M6 x 30 self-tapping screws in the aluminium profile. Option: Movetec offers the MAC2/MAC2U Lifting Columns with pre-mounted MP3 Mounting Plates, directly from the factory in Denmark. Steel T-Nut for easy, safe and solid mounting of MAC2/MAC2U. MN1 T-Nut for MAC2/MAC2U Lifting Column. The T-Nuts are designed for secure and reliable installation of MAC2/MAC2U Lifting Columns in any application. The trapezium-shaped T-Nuts fit perfectly into the mounting tracks in MAC2/MAC2U Lifting Columns. MN1 T-Nuts are designed for mounting on the broad side of MAC2/MAC2U Lifting Columns. MN2 T-Nuts are designed for the narrow side. 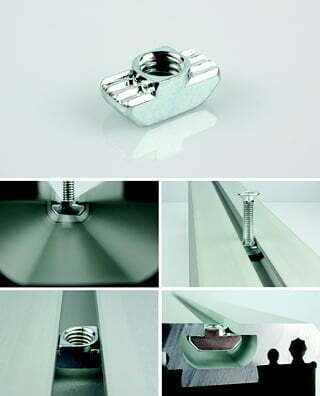 NB: If you decide to secure the lifting column via the MAC2/ MAC2U mounting tracks, it is important to use MN1 or MN2 T-Nuts to achieve correct installation and strength. The number of MN1 T-Nuts you must use depends on the load that the mounting track/lifting column will be exposed to. column will be exposed to. Option: Complete fitting kit with customer-specific contents can be supplied with MAC2/MAC2U Lifting Columns. MN2 Trapeze T-Nuts for MAC2/MAC2U Lifting Columns. The Trapeze T-Nuts are designed for secure and reliable installation of MAC2/MAC2U Lifting Columns in any application. MN2 Trapeze T-Nuts fit into the mounting tracks on MAC2/MAC2U Lifting Columns. MN2 Trapeze T-Nuts are mounted on the narrow sides of MAC2/MAC2U Lifting Columns. MN1 T-Nuts are designed for the broad sides. NB: If you decide to secure the lifting column using the mounting tracks in the MAC2/MAC2U profiles, it is important to use MN2 or MN1 T-Nuts to achieve correct installation and strength. The number of MN2 Trapeze T-Nuts you use depends on the load that the mounting track/lifting column will be exposed to. No. of MN2 Trapeze T-Nuts per mounting track in MAC2 Lifting Column: Determined by the load that the mounting track/lifting column will be exposed to. Option: Complete fitting kit with customer specific contents can be supplied with MAC2/MAC2U Lifting Columns. For stable installation of MAC2/MAC2U & fitting mounting plates..
MSS1 Self-tapping Screws for MAC2/MAC2U Lifting Columns. MSS1 Self-tapping Screws ensure a secure and reliable installation of MAC2/MAC2U Lifting Columns in any application. MSS1 Self-tapping Screws for MAC2/MAC2U Lifting Columns fit into the pre-drilled holes in the aluminium profiles in MAC2/MAC2U Lifting Columns. 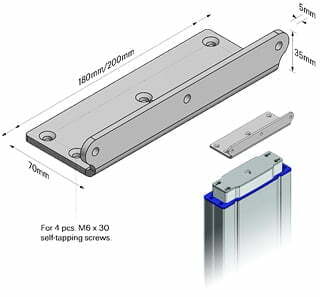 NB: If you decide to secure MAC2/MAC2U Lifting Columns using the holes in the aluminium profiles, it is important to use MSS1 Self-tapping Screws in order to achieve correct installation and strength. Use 4 x MSS1 screws at each end of MAC2/MAC2U. 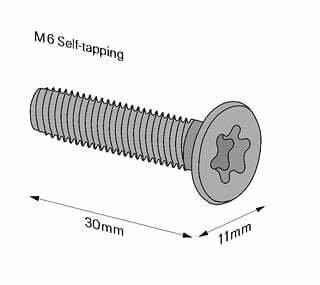 Similarly, for correct and secure/reliable installation of MAC2/MAC2U onto MP2 and MP3 mounting plates, use MSS1 Selftapping Screws. No. of MSS1 Self-tapping Screws per lifting column: 4 screws at each end of MAC2/MAC2U Lifting Columns.